Lung Ultrasound – Where do I put my probe? For lung and pleural ultrasound the abundance of acoustic windows can be overwhelming. Our approach here at Western (based on the literature, including the Blue Protocol) is a 4 point assessment of each hemithorax. For more see this new tutorial created by Rob Arntfield. By arntfield| 2013-06-30T14:09:45+00:00 June 30th, 2013|Tutorials, Uncategorized|Comments Off on Lung Ultrasound – Where do I put my probe? What clips should I save in the ED? As you become familiar with Qpath and how to archive your clips you will want to be sure you are capturing good quality clips for review. 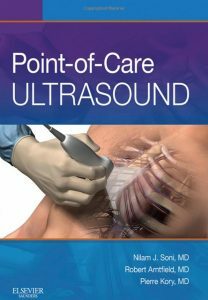 This document reviews our ED point of care ultrasound program's recommended standards. By arntfield| 2012-07-11T22:00:53+00:00 July 11th, 2012|Archiving (Qpath), Tutorials|Comments Off on What clips should I save in the ED?